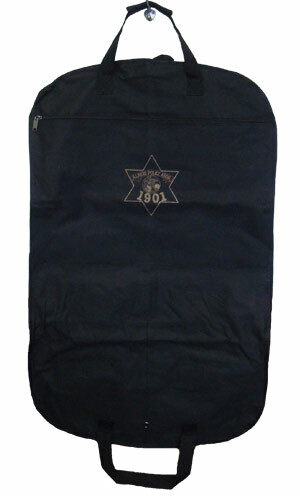 The Illinois Police Association Garment Bag imprinted with a gold IPA Star Logo. The garment bag is made of 600 denier polyester with woven handles and a full length zipper opening, a large outside zipper compartment, 2 inside mesh pockets and a slot for your identification card. Copyright 2004 -2018 Illinois Police Association and Piraino Enterprises all rights reserved. Reproduction in whole or in part in any form or medium without the expressed written permission of the Illinois Police Association and Piraino Enterprises is prohibited.